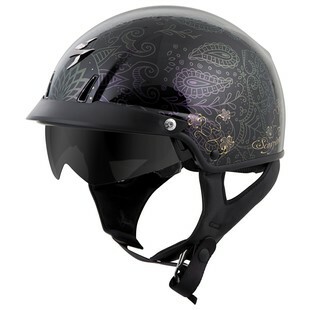 Flowers and flames have long dominated the graphics on women's gear, but now Scorpion makes paisley printed protection that offers all of the modern comfort features you could cram into a half helmet. With the aero-tuned ventilation system, the Scorpion EXO-C110 Azalea helmet lets air flow through as free as the wind in your face. The DOT approved, advanced polycarbonate shell holds a dual-EPS liner and a set of snap-in ear pads with built in speaker pockets to easily install a communication device. 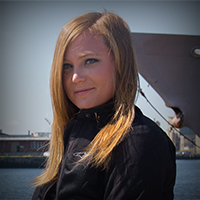 The EXO-C110 is built for ladies looking for the freedom of an open face helmet with the conveniences of a full-face. All she has to do is flip the SpeedView retractable sun visor down and ride off into the sunset.